Living in Islamabad is a dream of every Pakistani due to the beauty and surroundings of the Capital city. The city is surrounded by natural views that attracts people from all around the world. Islamabad is home to various housing projects which complement the living standard of the citizens. Astoria is one of the top housing developments of Islamabad due to state of the art planning, prime location and provision of all modern amenities. Flats in Astoria are ideal for modern life style and are suitable for the people who know the perks of living in high end apartments. The Astoria is also ideal for real estate property investment as chances of profit gains in short time period are very high. Astoria fulfills its aim of providing most luxurious amenities combined with the stunning and pristine natural destination in town, Bani Gala. Astoria is located on Jinnah Road in Bani Gala Islamabad. Astoria has good proximity to Murree Road, Kashmir Highway and Islamabad Expressway. The location of Astoria is ideal as it is surrounded by all modern amenities like schools, colleges, offices, parks, grounds, commercial centers and the top road links. The ideal location of Astoria will offer the world class living experience. The location is noted for the botanical garden, scenic beauty, clean air with a peaceful and quite environment. Having all the ingredients to become the most famous landmark in Islamabad, Astoria is a residential development of luxury apartments in the scenic location of Bani Gala, Islamabad. Located only 13 minutes’ drive from Serena Hotel, Astoria offers the perfect balance between ease of access and a peaceful, natural environment. Bani Gala has also become the most coveted address of Islamabad. This has made astoria is worth-living place since it offers luxury living experience that homeowners in Islamabad are looking for. At Astoria, a stunning view is not just a momentary memory, but an experience to cherish every day. Surrounded by all the major road links and complemented with the provision of both basic and modern amenities, Astoria is loved by everyone. 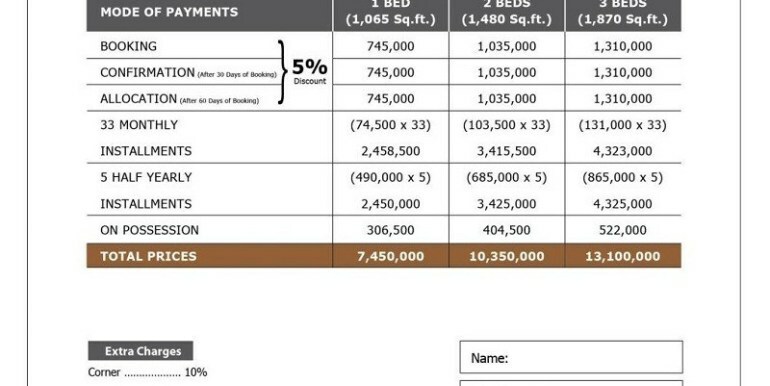 You can visit the Astoria management office to get a complete list of available deals and current discounts and updated rates if your are interested and planning to make it your dream home. As Astoria says " Don't Think of Cost, Think of Value" , It fits for this Project.